Set of 4 Grover Ukulele Open Gear Tuning Keys. 2 x Bass Side, 2 x Treble Side. 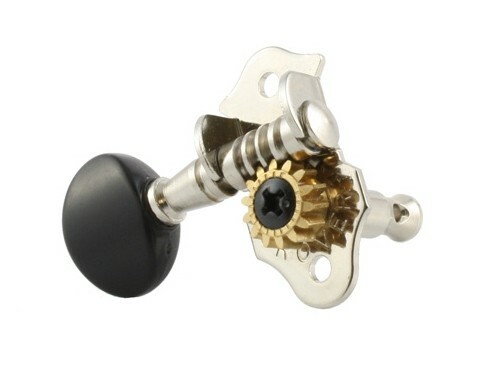 - Nickel finish with brass gear and black buttons. - Includes bushings and washers.